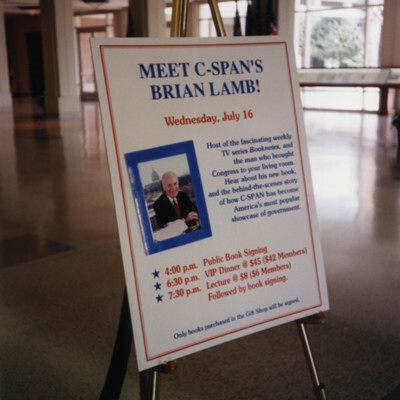 Brian Lamb Booknotes Sign. · One Book. One Author. One Hour. Brian Lamb, “Brian Lamb Booknotes Sign.,” One Book. One Author. One Hour., accessed April 24, 2019, http://booknotes.gmu.edu/items/show/3030. 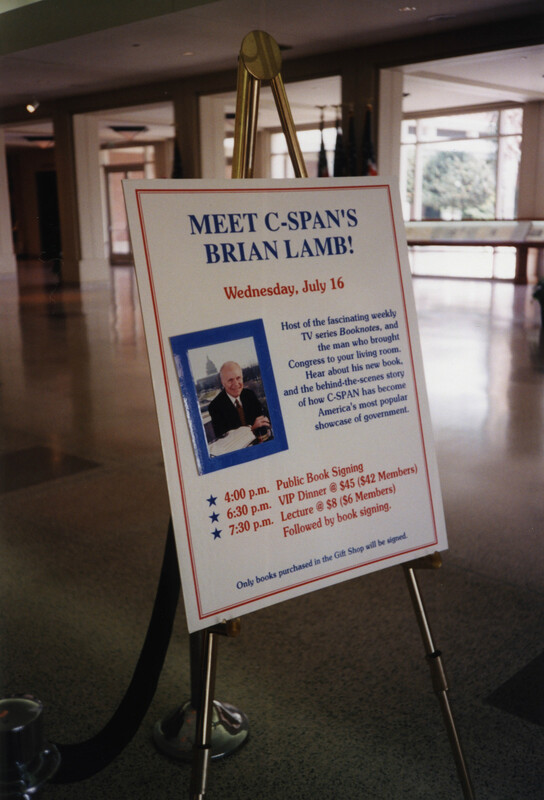 Brian Lamb's sign promoting his appearance at the Richard Nixon Library and Birthplace in Yorba Linda, California.